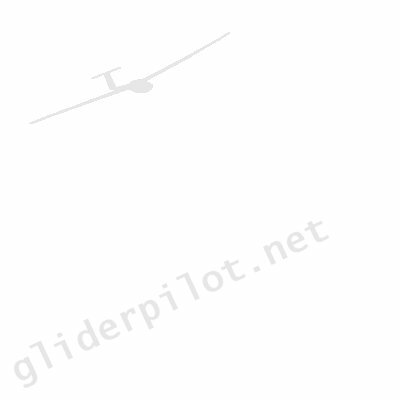 The Glider Pilot Network began in March 1998 as Soaring Pages, a site providing free classified adverts for glider pilots in the UK and Europe. Shortly after the site was launched the discussion group uk.rec.aviation.soaring was created and announced on the newsgroup rec.aviation.soaring to some criticism that it wasn't a true NNTP newsgroup. Despite the criticism the first posts started to slowly appear in April 1998 and the site started to grow. By the end of 1998 Soaring Pages had nearly 1000 registered users and had sprouted other sections including a turning point directory, email directory and a basic web search of gliding related sites. uk.rec.aviation.soaring had developed a large readership and there was a total of nearly 500 messages by the end of the year. In November 1998 Soaring Pages changed it's name to the Glider Pilot Network and took up residence on a new server with the domain name gliderpilot.net and at the same time the site was given a face lift with a fresh new design. Incidentally, the site was very nearly called "gliding.net" and was only a couple of days from being called so when it was discovered that the domain name had been registered elsewhere a couple of days previously! As gliderpilot.net grew, more sections were created on the site including the email forwarding and the addition of the "real" newsgroups rec.aviation.soaring and de.rec.luftfahrt. The increased load on the web host made gliderpilot.net move server provider again and was transferred to a host in the United States. Within only a year of moving host the site required more server resources and Ian Molesworth kindly stepped into the breach and provided the hosting for gliderpilot.net for a long period of time. Eventually, it was time for gliderpilot.net to grow up and get it's very own server and this happened in 2001 it moved to it's very own dedicated server in Reading. In November 2007 gliderpilot.net required a second server for processing the huge volume of incoming and outgoing email. Until May 2008, gliderpilot.net was run on the same backbone of software that it started on in 1998 (not bad going in modern computing terms!) - a basic series of text file databases accessed by various Perl scripts. This setup served the site well but from the end of 2006 onwards the site was starting to creak under the traffic load and at peak times brought the server to a near standstill. To combat this in early 2007 a new "blueprint" was made for the site with the decision made to run everything using MySQL for databases, PHP for the web front end and a mix of perl PHP for the behind the scenes processing. This was a mammoth task to effectively redesign the technical side of the site from scratch (although some parts of the Perl coding were ported over to PHP with only minor modifications). Work started at the beginning of 2007 and by the end of 2007 was almost ready. February 2008 saw the collapse of the primary gliderpilot.net server due to an attack by hackers and at the same time saw the end of the old software. A sad end to some very old code! Unfortunately, the new PHP code for the site wasn't complete and as a result the site had to be taken "off the air" for several weeks whilst the new coding was quickly finished and tested along with the enormous task of transferring all the old data from the text databases (some corrupted) and cleaning it up to be inserted into the new MySQL database. Gliderpilot.net would not be successful if it weren't for the thousands of users worldwide using the site everyday - thank you! Special thanks also goes to a long list of people who have provided support, help, guidance and resources since 1998. In particular the following people are owed a huge vote of thanks in no particular order: Ian Molesworth for providing hosting free of charge for gliderpilot.net over a long period of time, the late Neil Stuart Lawson for providing the fantastic desktop calendar photos over the years, Pete Masson for allowing Neil's huge back catalogue of images to be accessible for the years to come, Xcalibre web hosting for tolerating a huge site on a tiny web hosting package, Dedipower web hosting for being a great server provider, Le Forbes (former S&G editor), Helen Evans (S&G editor) and many, many more.